“Electric Friends in San Francisco” – Simon Townshend Webcast | Sunn Creative Record Label dedicated to quality independent music and creative expression. *Update – This stream can now be seen here on Yahoo Music. 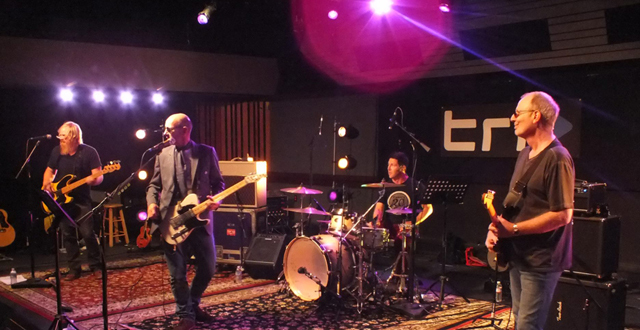 Tony Lowe, along with Scott Devours (drums) and Dave Beste (bass) will be playing on Simon Townshend’s streaming webcast filmed at TRI Studios in San Francisco area (owned by Bob Weir of the Grateful Dead) this Sunday the 25th of Nov at 6:00 pm PST. It all kicked off at 6:30pm PST/9:30 ET. Here are instructions for setting up your Roku Channel – computer- game console – to TV for better viewing. For those in Europe and the UK who will not be awake at 2:30am -it will be available afterwards as well. Due to overwhelming demand Simon Townshend’s FREE stream from TRI Studios will be broadcast once again for UK/Europe fans on Sunday Dec 2nd 7:30pmGMT/11:30amPST. This entry was posted in News and tagged Bob Weir, Dave Beste, Electric Friends, Grateful Dead, Scott Devours, Simon Townshend, The Who, Tony Lowe, TRI Studios, Webcast by string. Bookmark the permalink.